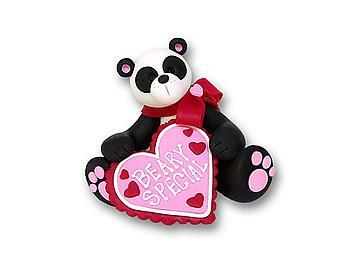 This very "Beary Special" Panda Bear is the perfect figurine to give to your Sweet Heart. 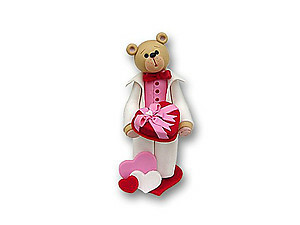 This lovely item is a 3 dimensional free-standing figurine and can be used as a mantel or shelf decoration. 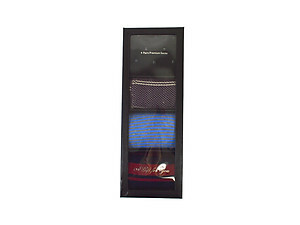 It is the Valentine that will last forever. 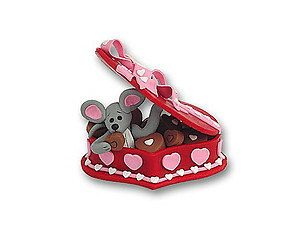 Measures approximately 3 1/2" H x 3 1/2" W. This beautiful figurine is handmade from polymer clay and will make a great addition to your Valentine Decor!